there are several unfinished, under construction projects in our yachts for sale portfolio which you can take over and finish her at your hearts content. we are ready, willing and able that we shall be more than happy to assist you in your quest to find the most suitable yachts for sale at the best possible price. 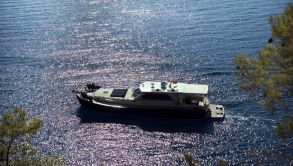 Gulet charter in Turkey and greek islands with luxury gulets and motor yacht for sale Turkey..